Improving Business Performance with Emotional Intelligence "
White Paper: Emotional Intelligence and Performance Joshua Freedman, Massimiliano Ghini, MBA, and Carina Fiedeldey-Van Dijk, Ph.D.
Abstract: Critical success factors for work and life are predicted by scores on the Six Seconds Emotional Intelligence Assessment (SEI). In a sample of 665, SEI scores are strongly predictive of effectiveness, relationship quality, health, and quality of life. This suggests that emotional intelligence (as measured by the SEI) is an essential element for professional and personal success. management), and Quality of Life (life satisfaction). The eight scales of the SEI were analyzed to test if high scores would predict high scores on each of the success factors. selection) found that 54.79% of the variability in these success factors combined are predicted by the SEI. The variability of each individual success factor is also predicted as shown in Figure 1. These findings make the SEI one of the strongest measures of emotional intelligence available in the market today. What makes the SEI so strong? The SEI is the only test measuring Six Seconds' Model of Emotional Intelligence. The Model consists of eight core competencies divided into three key pursuits. Developed to help people put the theory of emotional intelligence into action in their leadership and general well-being in life, the three parts are easy to learn and apply. Part of the beauty of the predictive results is that the variation in each success factor is explained by that of a different combination of the eight competencies. This points to the distinct qualities of the SEI depending on the external criteria that are important to individuals and groups. 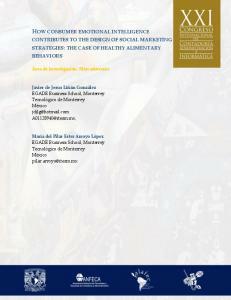 Report "EMOTIONAL INTELLIGENCE AND PERFORMANCE"